The experiences of Black men in the United States are significantly different from men of other racial and ethnic backgrounds. Black men have to deal with racism on a daily basis. Understanding of the effects of daily racism and its implications is limited. Racial battle fatigue is a relatively new concept in the field of mental health. 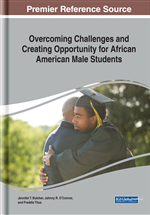 The current chapter discusses the concept of racial battle fatigue and its effects on Black men. The authors discuss both the physical and psychological effects of daily racism on the health of Black men. There are 57.7 million adults aged 18 years and older in the US alone who have a mental health diagnosis; out of these, 7.5 million are African Americans (Ward & Besson, 2013). Despite the ongoing problem of Blacks being underserved in the mental health field (Sue, 2012; Sue, 2015), additional research is needed to explore the effects of racial stress, mental health problems, and help-seeking behaviors of Black men. Mental health is an illness that no one is exempt from regardless of race, ethnicity, and sexual orientation as well as age, and socioeconomic status (Ward & Besson, 2013). Blacks share a history of being self-reliant and resilient; therefore, they may be resistant to seek support for mental health problems (Holden, McGregor, Blanks, & Mahaffey, 2012). Holden et al. (2012) further contended that African Americans (Blacks) are 30% more likely to have a mental disorder compared to Caucasians. Holden et al. further related that African Americans (Blacks) are less likely to receive proper diagnoses and proper treatment for mental illness, thus causing them to function at lower levels and have greater disabilities as a result of untreated mental disorders. Clinical depression affects 5 to ten percent of Black men (Ward & Mengesha, 2013). The Diagnostic and Statistical Manual of Mental Disorders Fifth Edition (DSM-5) authored by the American Psychiatric Association [APA] (2013) reported that symptoms of major depressive disorder (MDD) are daily or almost daily. According to the DSM-5, these symptoms included depressed mood, noticeably diminished interest in activities once enjoyed, and changes in weight and appetite, thus leading to significant weight loss or gain. Additional symptoms of MDD include: insomnia or hypersomnia, feelings of restlessness, being slowed down and fatigue, loss of energy, feeling worthless or guilty, inability to concentrate or being indecisive, and recurrent thoughts of death and recurrent suicidal ideation (APA, 2013). Clinical depression is one of the risk factors for suicide. Depression left untreated could lead Black men to commit suicide. The US Department of Health and Human Services, Office of Minority Health (HHSOMH) (n.d.). reported that, in 2014, Black men committed suicide four times more than Black women. The Centers for Disease Control and Prevention (CDCP) (2017) suggested that suicide is the third leading cause of death for Black men between the ages of 10-24.